There is a difference between filling your time with tasks and doing the tasks that are most important. As a way of keeping ourselves from doing the things we don’t want to do we often we find ways to fill our time with tasks to keep us busy. In the long term this is far from helpful! In this conversation with Brad Yates we discuss how we distract ourselves with busy tasks to keep us safe from might go wrong with the productive tasks. We also talk about how we can tap for this to change the way we work. About Brad: Brad has had the privilege and pleasure of working with a diverse group of clients, from CEOs to professional and NCAA athletes, from chiropractors and psychiatrists to corporate and federal attorneys, from award-winning actors to residents at a program for homeless men and women in Santa Monica. For several years he taught a weekly class using EFT and guided imagery at Sacramento Drug Court. He has also been a presenter at a number of events, including several International Energy Psychology Conferences and the Walk On Water (WOW) Fest in Los Angeles. He has presented at Jack Canfield’s Breakthrough to Success event, and has done teleseminars with “The Secret” stars Bob Doyle and Dr. Joe Vitale. 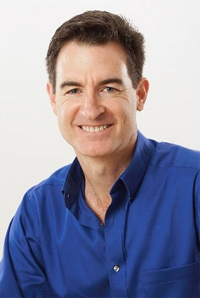 He is also the co-author of the bestseller “Freedom at Your Fingertips,” a featured expert in the film “Try It On Everything” (along with Jack Canfield, Bob Proctor, Dr. Norman Shealy and Dr. Bruce Lipton), and has been heard internationally on a number of internet radio talk shows. Are you looking for ways to stop being busy and start being productive? I have created an entire website design to help you. There are over 250 tap-along audios, tele-classes, and tools designed to help you move past your blocks and take the actions you want. Full details on Ruach Center.